It was a very warm start to the day and you will notice the humidity for sure. 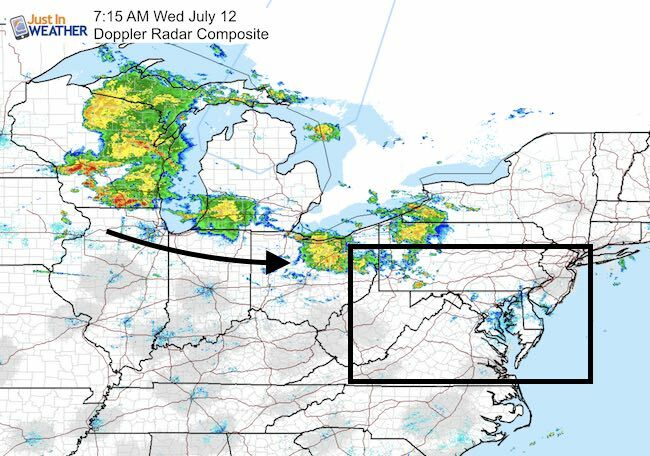 But like the past few day, showers and storms will be scattered locally and more concentrated west and north in the mountains. Eventually that focus will shift, especially by Friday as the pattern starts to change. The heat is the main concern for now as temps reach the mid 90s, but the Heat Index approaches 100ºF. This is the day to make sure you drink plenty of water and pay attention to the impact on kids and elderly. 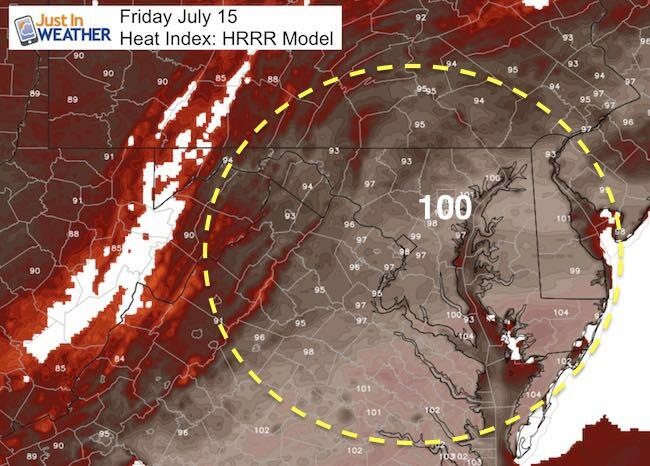 This maps shows the heat index, not the actual temperature readings. 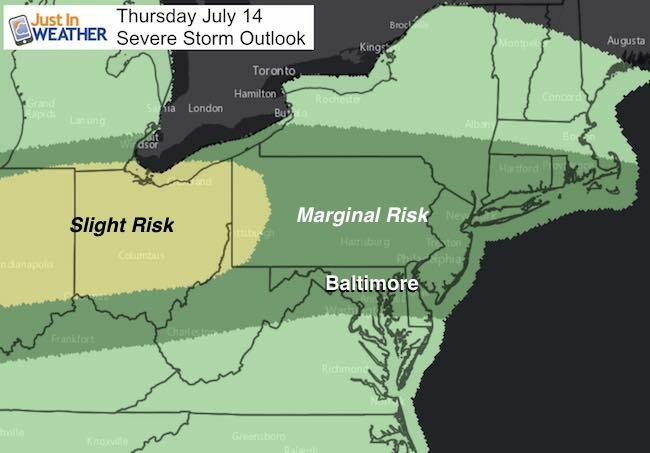 The threat of storms will shift closer Thursday and Friday. High heat will fuel the storms, so isolated cells could become severe. 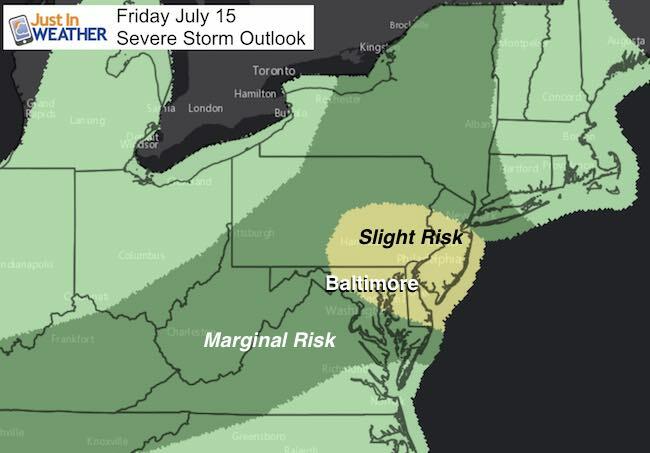 Friday will feature a greater risk of more widespread active storms that could become severe. After the cold front swings by Friday, the weekend will bring a fresh Canadian air mass with a drop in humidity and highs back in the 80s.